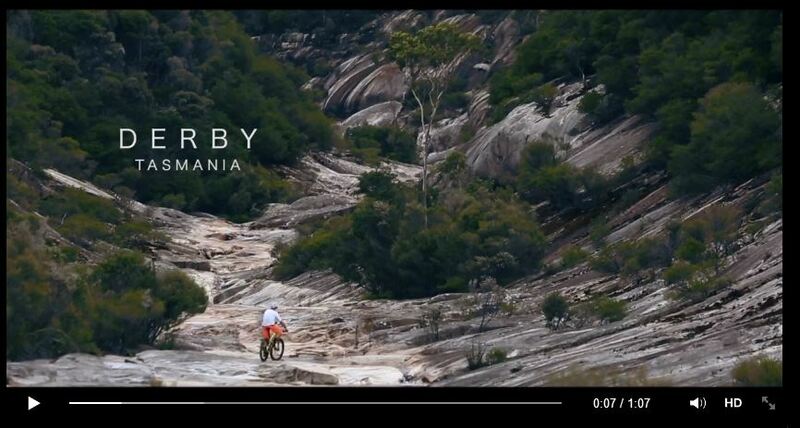 Looking for the best XC trails in Australia? 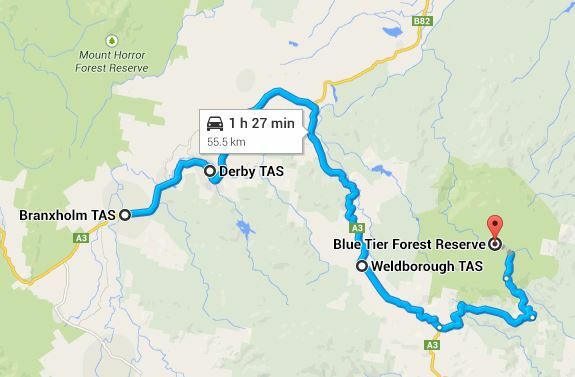 Best get yourself to Blue Derby, Tasmania! 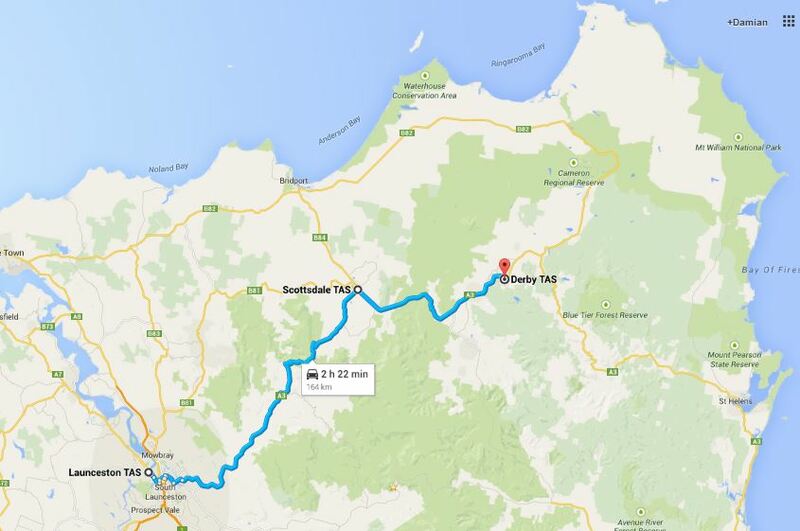 Thes trails are without doubt worth traving for. Don't believe us? No worries, check out the movies the Flow boys and others have put together on the region. Currently the first 20 km of green and blue trails have open to raving reviews. April 24 will see the opening of the iconic Dambusters, which traverses Cascade Dam. Trails include short beginner trails through to blue with Flickity Sticks the best "fun factor" trail for least amount of climbing effort! 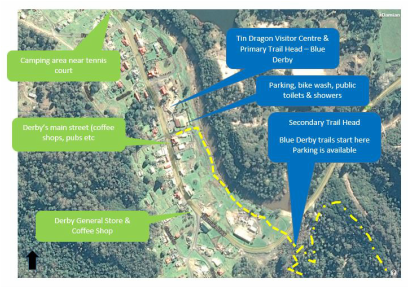 Derby's Tin Dragon Centre is the designated primary trail head for the purpose built Blue Derby mountain bike trails.As yet, Derby has VERY limited anything in the way of supplies and services. It does have 2 pubs. 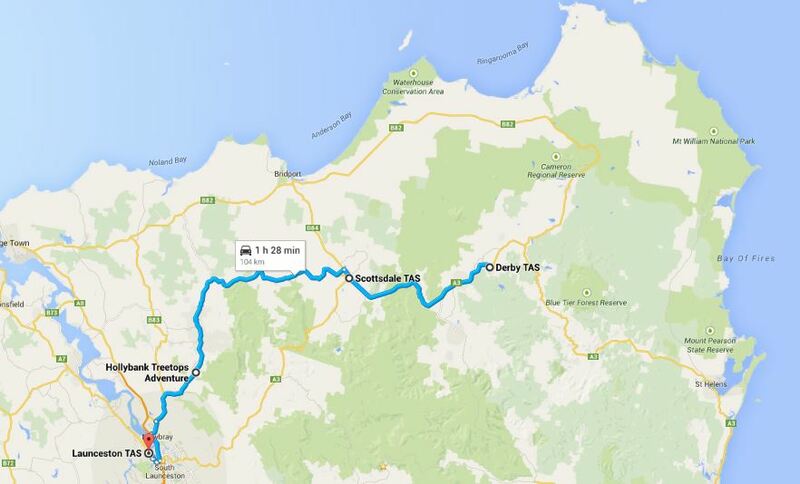 As yet, this town has a few accommodation options and an overnight rest stop with toilets and BBQ facilities. It's shop is closed (but could reopen in the first quarter of 2015. It does have a mechanic's workshop with petrol station that sells ULP & diesel. It is only open normal business hours. 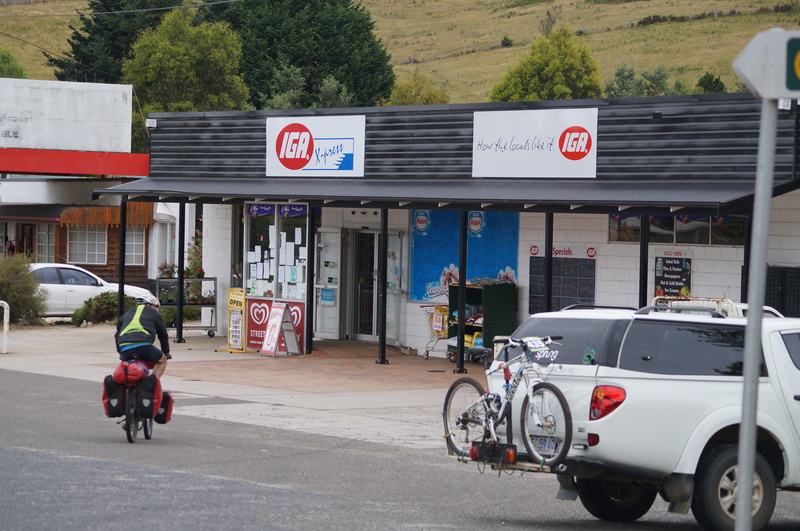 It also has two great coffee shops / cafe on the main road! Opening hours vary. When the NEW trails open, there may some businesses ready to go, but your nearest service & supplies options at the moment is in Branxholm. Also, don't forget the Weldborough Hotel. We'll keep you posted as things change! Last diesel is in Scottsdale. Don't get caught! 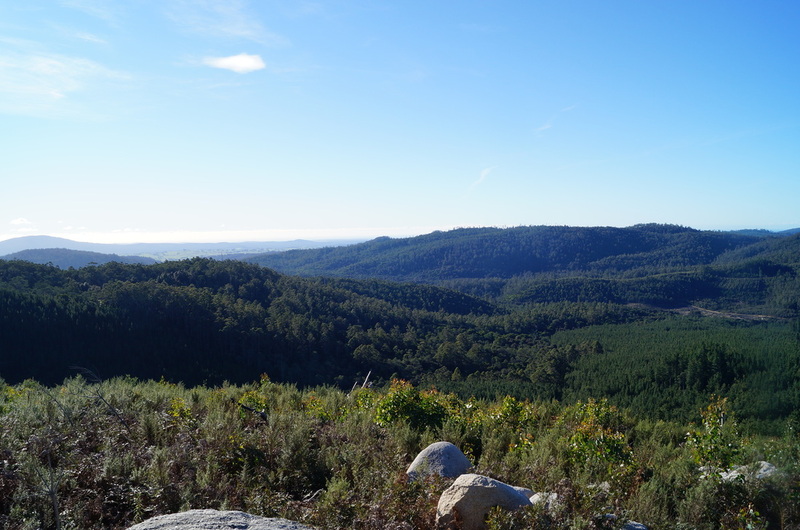 Looking north to Cascade River valley, where 40km + of new trail is being built.